Saatchi & Saatchi has recalled the iconic "pregnant man" ad for the agency's Christmas window display. 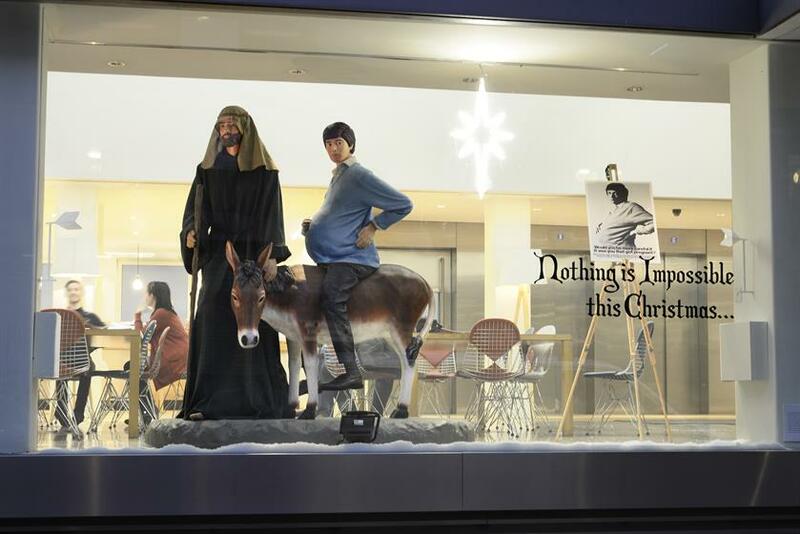 The display, in the window of Saatchi & Saatchi’s West End offices, puts a spin on the Christmas Nativity by showing a pregnant man riding on a donkey, accompanied by what we assume is a representation of Joseph. 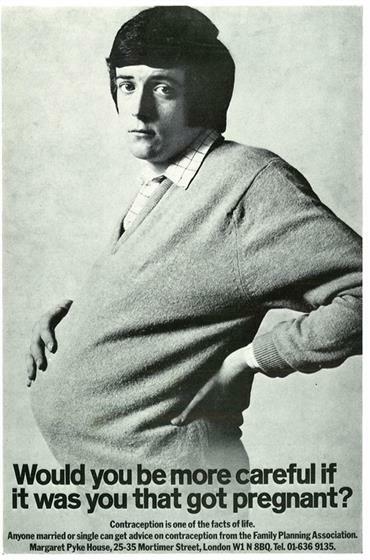 The scene references Saatchi & Saatchi’s "pregnant man" poster, which was created as part of a campaign for the Health Education Council in 1970 to promote family planning. Well, if you want to get technical, the ad was actually created by Saatchi & Saatchi’s predecessor agency, Cramer Saatchi, but it’s still very much associated with the Saatchi name. Junior creative team Anna Brailey and Ollie Jarrott designed the window display. Holly McCulloch sculpted the figures. Saatchi & Saatchi is following in the footsteps of Wieden & Kennedy, which put up its own window display last week – a chocolate coin factory.